It’s happened to all of us: we’ve been relaxing either by ourselves or with family/friends when the power suddenly went out. You heard the rain battering the windows as thunder roared from all around, but you figured this was just another passing storm in South Florida. Now, you and everyone else is sitting in the dark, hoping the lights flicker back on soon. The a/c turned off, leaving everyone sweating profusely. The internet shut down, so you can’t even bide your time on a computer or phone. You’re trapped in your own home since there’s a massive storm raging outside. Nobody wants to get trapped in this situation, and yet South Floridians from as north as Jupiter, as far west as Fort Myers, and as south as Key West find themselves dealing with this whenever a tree falls on a power line. 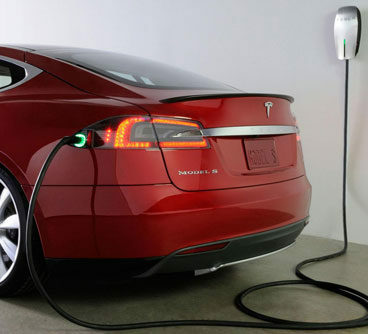 Some are fine just bearing with no power, but for most of us it’s a major inconvenience. That doesn’t mean you have to sit idly by and just accept that there’s no alternative, thanks to Rack Electric’s Standby Generator installation and maintenance services. 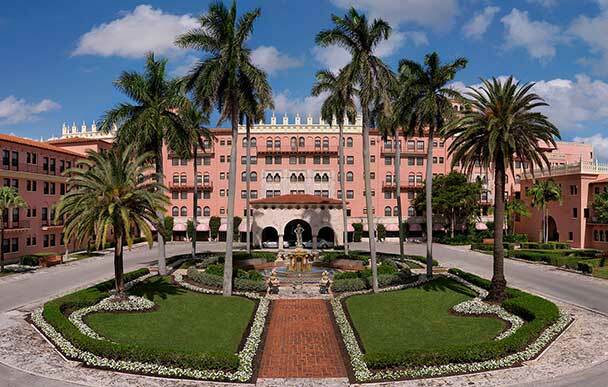 Automatic Standby Generators allow Florida residents to be prepared for Hurricane Season. Our Residential Standby Generators help keep your family, home and business protected from periods of extended power loss. Allow our team of certified technicians to recommend the most efficient and cost-effective generator for your home or business. Residential standby generators are the right solution for people looking to keep the lights on, even when the rest of the neighborhood is sitting in darkness. Your home is normally powered by the utility company through a network of transformers, substations, and miles of power lines. When any of these pieces are disturbed in any way, the homes powered by it will be shut down until it’s fully restored. Unfortunately, this time frame is fluid, ranging anywhere from a few seconds to days. 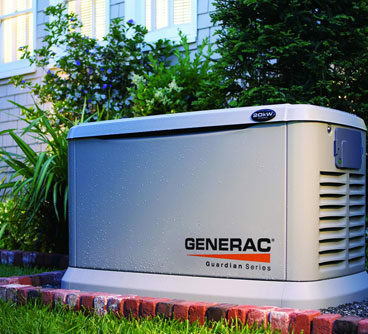 With a residential standby generator, you guarantee yourself power throughout a blackout. When the main power switches off, the standby generator shifts on and continues providing power to your home as if nothing ever happened. A standby generator can provide roughly 3,000 hours of use or around 30+ years. Since they were first recorded, Florida has been hit by approximately 500 large storms. In fact, there have only been 18 hurricane seasons since 1851 that haven’t featured a named storm that directly hit Florida. As proud Floridians, we yawn and scoff at these storms, putting up our hurricane panels hours before a storm begins and casually waiting it out. It’s not until we lose power where we begin to realize the true strength of these storms. Hurricanes bring with them intense winds and heavy rains, both capable of causing significant damage. Even a category 1 hurricane brings a minimum wind speed of 74 miles per hour. These winds are strong enough to knock over power lines and cause severe flooding. Instead of attempting to power one appliance at a time with a portable generator, consider a residential standby generator. 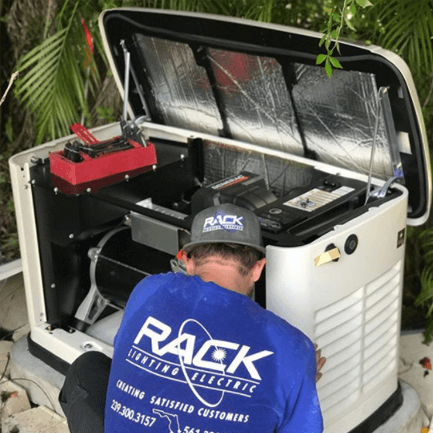 Hurricanes are notorious for causing major blackouts lasting several days, which you can certainly avoid with a standby generator installed by Rack Electric. Our expert standby generator installation team is ready to get to work on your home right away. After contacting us, we’ll head to your location, where our expert electricians will get to work laying the foundation for your backup generator. We’re fully equipped to handle installing the generator ourselves, as well as running diagnostic tests and acquiring any permits needed. We ensure our clients are ready for whatever Mother Nature throws their way. Whereas other electrician companies care more about quickly installing your generator and turning a profit, Rack Electric cares more about doing the job right the first time. We make sure that everything is done properly because your family’s well-being matters to us more than anything else.